Recommended changes to the controversial NGO law, reports Gamal Essam El-Din, will be sent to a specialised cabinet committee for review, Talaat Abdel-Qawi, head of the General Union of NGOs, told the media. “The committee, to be formed by Minister of Social Solidarity Ghada Wali, will be responsible for drafting the amended version of the law which will then be submitted to the full cabinet,” said Abdel-Qawi. Once it receives cabinet approval the draft will be referred to the State Council for legal and constitutional revisions. The revised version is then submitted to parliament’s social solidarity and legislative and constitutional affairs committees for discussion. Abdel-Qawi said the recommended changes emerged from a series of meetings in which 1,300 civil society activists participated. They included representatives of local human rights organisations, youth academies, businessmen associations and foreign NGOs. Changes to NGO Law 70/2017 are being made at the request of President Abdel-Fattah Al-Sisi who, on 5 November, told the World Youth Forum that the law was “restrictive and reflects a sceptical view of NGO activities,” said Abdel-Qawi. In order to ensure a more permissive environment for NGO activities articles imposing penalties, particularly prison sentences, needed a radical overhaul. “Custodial sentences should be completely annulled,” said Abdel-Qawi. 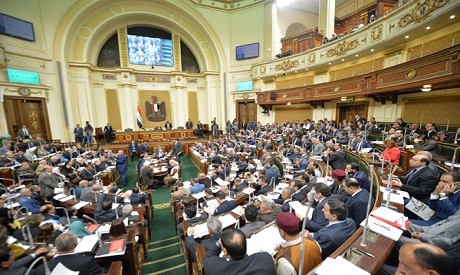 The debate on changing the law reached a semi-consensus that the authority mandated to monitor NGOs, the National Council for Regulating the Performance of NGOs in Egypt, should be disbanded. Participants in the dialogue also agreed articles on the local and foreign funding of NGOs should be reconsidered. All the participants asked for Article 13 to be amended. “The article stipulates NGOs avoid political activities and bans them from conducting opinion polls,” said Abdel-Qawi. Participants in the dialogue also requested that, once passed by parliament, the law’s executive regulations be drafted within two months. “One of the major reasons why President Al-Sisi asked for the current NGO law to be amended was that the government was unable to decide on its executive regulations,” said Abdel-Qawi.